“I never thought that I’d be the girl who hated herself, who thought she was so fat that she would starve herself just to be skinny. But somehow, somewhere along the line…I became exactly that. My name is Kelly, and I’ve had an eating disorder for probably about a year and a half now. And this is my story. 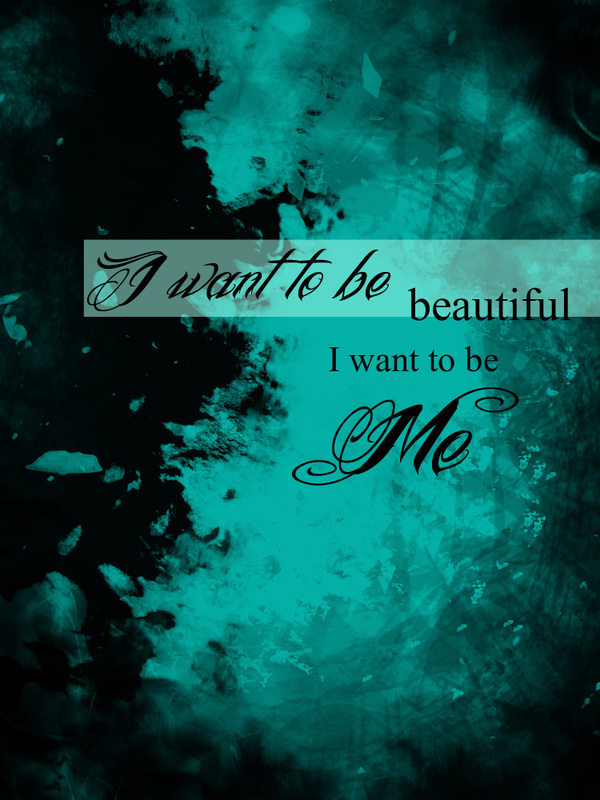 I, like many girls, wanted — and still want — to be beautiful. And “beautiful”, to me, meant stick-thin; that was my image of “perfect”. And I didn’t feel that I was that…and I wanted it. I craved it. My back injury made exercising painful…and so, I resorted to something else: I began to skip meals. I grew to hate myself for eating. I would make myself feel completely sick to my stomach to punish myself for eating. There were soooo many times I wished that I knew how to make myself throw up, just so I could get rid of the awful feeling, and the 100 calories I just put into my stomach. I was proud of myself when my stomach would growl; it was satisfying to lie about what I ate that day. I would lay in bed at night and just be so happy because I made it through the day without food…and no one even suspected anything. I had several people tell me that Satan was in my mind and seriously taking over my thinking. But I brushed it off because I felt like I was in control of it; I felt like I knew what I was doing. I knew I was damaging myself physically, but somehow, I didn’t really care. I became brainwashed. I knew the not-eating was standing in the way of me and God. I knew that I needed it gone, but I just couldn’t let go of it; I couldn’t give up control. Not until I was happy with what I looked like. And I hated what I looked like. I would argue with people who told me I was skinny and beautiful. I couldn’t understand how they could look at me and think that I was beautiful and perfectly made, when I looked at myself with such disgust. I HATED myself. Everything about myself, I completely hated. I knew other girls who were struggling with loving themselves, and I would try to have it all together for them; I would try to be strong for them and give them advice on how to love themselves. On how to accept themselves as they were. I would tell them that they were made exactly how God wanted them to be made, so why would they try to change themselves? God knows best after all. …But I was such a hypocrite. I couldn’t even listen to my own words; I didn’t believe them for myself. How much could they really take to heart what I said, if I couldn’t even apply it to my own life? I knew I was loved by God; I knew I had a family that loved me; I knew my boyfriend loved me; I knew all my friends loved me. And they loved me not because of what I looked like, not because of how skinny I was — but for ME, for who I was. …So why was it so hard for ME to love me? Why was it so hard for ME to accept myself? I had a very brainwashed view of myself and what I “should” be. Of what I “should” look like. For a while, I denied even having an eating disorder. People said I was anorexic, and I thought they were absolutely insane because I thought that being anorexic meant you were like skin and bones. But I’ve learned that anorexia is a mindset — a mindset that I had. Sometimes I would ask myself if being skinny was really worth messing up my organs, or even risking my life. And I KNEW the answer was “absolutely not”, but I still couldn’t change my way of thinking. I couldn’t stop. I couldn’t give up that control. Somewhere along the line, it had taken over the control; I no longer controlled IT — IT controlled ME. I was constantly planning how I was going to get out of eating that day, how I was going to skip as many meals as I could. It was taking over me, consuming me. And I didn’t want to be that girl; I didn’t want to be weak. I wanted to be the girl everyone looked up to. But no one is perfect, and everyone struggles with something. And I struggled with this. I wasn’t letting God into my heart to help me with it. I still wanted to be in control of it — because I knew, deep down, that if I let Him have control, if I surrendered it to Him…He’d take it away. And I wasn’t ready for that yet. I tried not being so critical of myself for one week; just a week. …And I didn’t even last an hour. There is something so wrong with that. And eventually, it beat me down and wore me out. I couldn’t change myself; it was beyond my ability to fix. And I was TIRED of being consumed by it. I was TIRED of looking in the mirror and only seeing flaws. I was TIRED of being so physically weak and dizzy all the time. I was TIRED of acting like I had it all together. I was TIRED of pretending to be okay, when I wasn’t okay at all. I was exhausted and broken. It became less about control and more about what I needed — and I needed this to be gone. I needed it to not be standing in the way of me and God anymore. I needed Him. And I knew my relationship with Him was too important to sacrifice because of this struggle. I’m not going to sit here and say that I woke up one day and it was over, that I’m now completely and totally free of this. Because I didn’t, and I’m not. Maybe one day I will be able to say that it is totally over…but not yet. But I DID wake up with a different attitude. I woke up and the first thing I thought WASN’T “how can I skip meals today?”. I looked in the mirror and my head wasn’t filled with thoughts of hatred. I can’t even remember the last time that happened. I know this battle isn’t over yet; I know it’s not going to end overnight. I know I’m probably going to struggle with this for a while, if not the rest of my life. But my point is that right now, in this moment, I have something that I haven’t had in a long, long time: …I have hope. I can see God working. I can see Him changing my heart. And I am BEYOND excited about it. I’m starting to love myself for who I am. I’m starting to truly, honestly believe that I was made for a purpose, and that I was made the exact way God needed me to be made. I’m giving Him control of this — and He is taking it away. But it’s not bad like I thought it would be; I’m ready for it now. My heart is so incredibly happy for the first time in a long time. I feel free. I feel hopeful. And I can’t even begin to tell you how great it is.